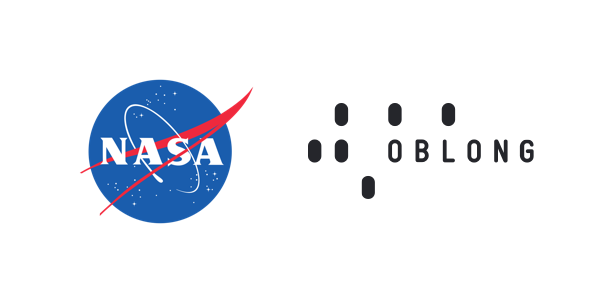 We are pleased to announce that Oblong has been awarded a contract to equip NASA Aeronautics with Mezzanine™, our immersive collaboration solution. Mezzanine transforms meetings into visually immersive work sessions that can only be characterized by Infopresence—the immersive, content-rich experience that delivers a heightened level of real-time collaboration. Mezzanine will be used specifically as part of the Transformative Aeronautics Concepts Program (TACP) Convergent Aeronautics Solutions (CAS) project to assist the CAS teams in merging traditional aeronautic discipline with non-aeronautic advancement to find new capabilities in commercial aviation. "NASA embodies true innovation, and its TACP believes that basic aeronautics technologies can be revolutionized by allowing teams to work in dynamic environments. Our convictions are exactly analogous: Mezzanine was developed specifically to help innovators work together and solve problems difficult or impossible to address any other way. So we are honored to play a role in NASA's breakthroughs. When meaningful collaboration generates inspired outcomes, the world is the beneficiary. NASA is the perfect place for Mezzanine to accomplish this mission." Mezzanine will be installed in four of NASA Aeronautics research centers—the Langley Research Center in Hampton, Virginia; the Glenn Research Center in Cleveland, Ohio; the Armstrong Flight Research Center in Edwards, California; and the Ames Research Center in Silicon Valley's Moffett Field, California.